But first an amusing brief story involving a BBC, an intercooler, and Freon. 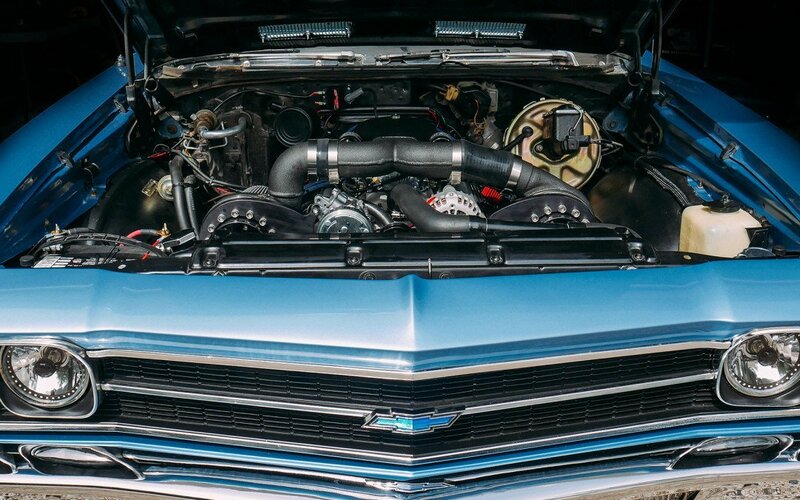 “I’m no authority on intercoolers,” admits performance carburetor specialist Dale Cubic of CFM, “but I do recall a memorable moment five years ago that involved one. Nothing too scientific,” he adds; nonetheless, it seemed an anecdote worth telling. 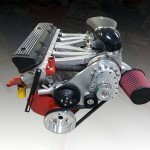 The noted carburetor specialist had visited an engine builder’s shop with a carburetor for a 1600hp 565ci supercharged big-block Chevrolet. The engine was already installed on the dyno and suspended above it an intercooler. Unsurprisingly, with the intercooler connected, the engine improved by 50–80hp. But then the engine builder unexpectedly produced a can of Freon, purchased from a local parts store, and reached up and sprayed some of its contents over and around the intercooler. He then hastened to the dyno room and made a pull. “It gained a further 40hp! Spraying Freon on that intercooler was like feeding it with nitrous oxide,” remembers Cubic. But the mischief didn’t end there, to further mark the occasion it blew the plumbing off the supercharger! The engine was powered by a small Dominator and a Stage II ProCharger and the Freon had condensed the charge sufficiently to pack in more air than anticipated. 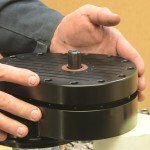 Intercool or not to intercool? Racers, by instinct, explore every avenue that might lead them to more power. They know that the introduction of compressed air to the cylinders generates heat and excessive heat provokes early detonation. The common solution for expelling excessive heat is to install an intercooler. But what about hot rodders who enjoy most of their driving pleasures at part-throttle on the streets. They wonder about the gains of intercooled power versus its cost and associated plumbing to say nothing of the time and effort required to install the system. Let’s assume to our naturally aspirated engine we add a supercharger and the total package generates 750hp. My question to the customer, suggests Dale Cubic, would be this: Determine what you are trying to achieve with the power and ask yourself if it’s worth the added investment of intercooling. If this were a drag race low-horsepower 10lb boost vehicle and the owner had no desire to apply more boost to the engine, then Cubic would likely advise intercooling it, thereby gaining free boost without adding boost. 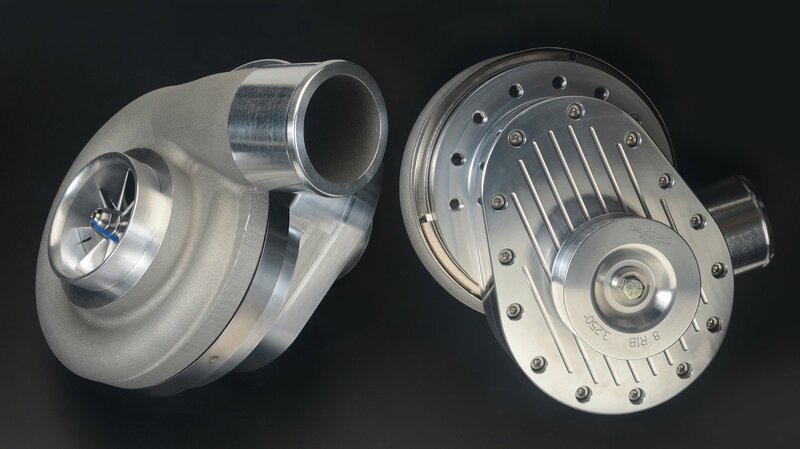 TorqStorm’s centrifugal superchargers are designed to increase power output by an average of 40 percent on throttle-body injected or carbureted engines. To the hot rodder, however, he would inquire about his driving habits, particularly throttle openings and their duration. During general driving, would half-throttle openings be more usual than full-throttle openings? Commonly, the answer is: Well, I’m mostly street driving, so 50 percent would probably be more realistic. In which case, the question becomes how much time is devoted to generating boost? If you are driving around on 50 percent throttle and only stabbing it wide open for short periods of time, where’s the problem in running without an intercooler? 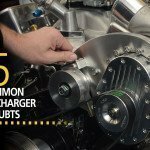 This is particularly relevant when a supercharger blows through a carburetor or a four-venturi throttle body, both of which offer a cooler charge. 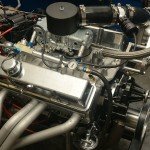 In fact, at the farther end of the performance scale, some modern turbocharged Pro Mod race cars running on alcohol omit the intercooler entirely. In the making of 3,000 horsepower, very large injectors deliver very large volumes of cold fuel. 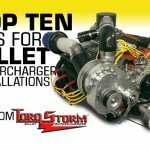 In addition, superchargers such as TorqStorm’s are devised to generate between 6-8lbs of boost; the lower the boost, the lower the induction temperatures. Moreover, induction temperatures are not linear but exponential. That is, they increase much more rapidly in proportion to growing boost pressures. So if you’re enjoying your supercharger under these conditions, why bother with an intercooler?